Fritillaria melegaris (Snake’s head fritillary) flowers every spring with a show of purple - or white- speckled bell-like flowers. 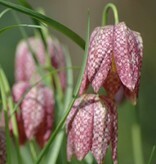 In the wild Fritillaries grow in damp, peaty or loamy meadows. When happy they’ll naturalise quickly. 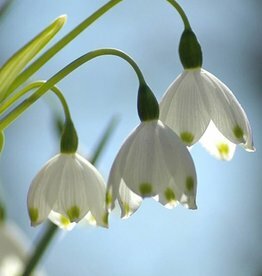 Fritillaria melegaris flowers at the same time as the Wood anemone and is therefore a good planting partner. 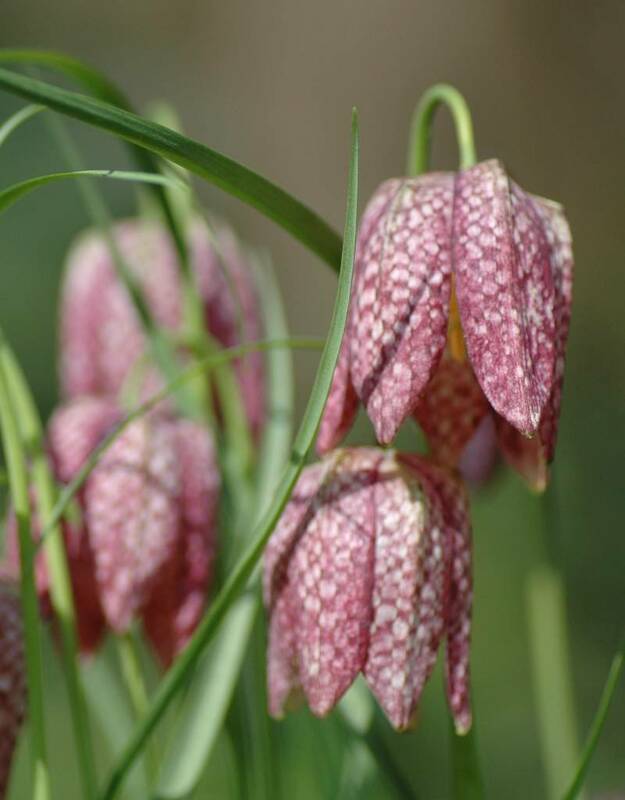 Snake’s head fritillaries originally come from southern Europe, although in the last few centuries they have become naturalised in northern Europe too. 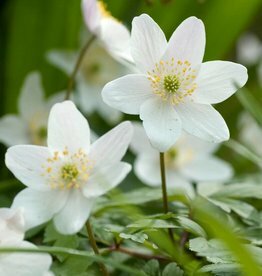 At De Warande, in our gardens, we've planted Fritillaria melegaris in the stinzen-meadow alongside Erythronium ‘Pagoda’ (Dog’s tooth violet) and Anemone nemorosa (Wood anemone). 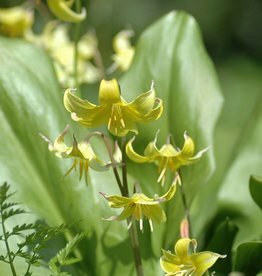 The loose bulbs of Fritillaria melegaris are susceptible to drying out: please plant them immediately. The bulbs can be stored for a short while in the fridge (frost free). 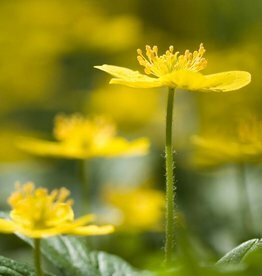 A must have plant for in the stinzengarden! 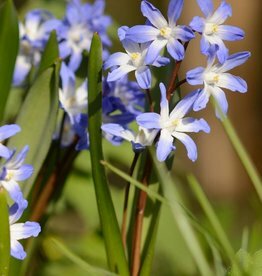 April, blue with a white centre, 20 cm. Also suitable for really wet places!